To the mortgage lenders, a person's credit score represents his/her likelihood of making on-time mortgage payments for the next couple of years, based on the person’s recent (e.g., last two years or so) payment history. 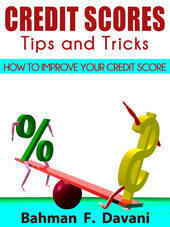 Therefore, it is very important to have a good/excellent credit history and credit score. But having a friend or not, should not affect the applicant’s ability to pay. The mortgage lender should not approve or disapprove clients based on whether or not applicant has family, relatives and friends.